These are video captures I made from the tv show "Alias Smith and Jones." I only put my favorite vidcaps showing the chemistry between the actor Pete Duel (Hannibal Heyes) and Ben Murphy ("Kid" Curry). 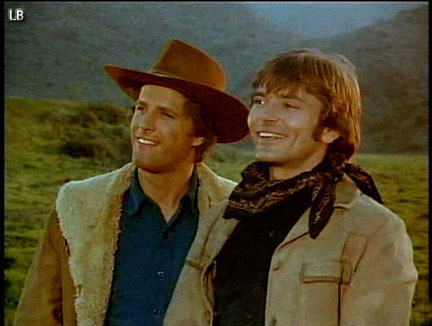 I have vidcaps for the 33 episodes that the actor Pete Duel was in who played Hannibal Heyes, along with actor Ben Murphy who played "Kid" Curry. I put a lot of work into enhancing my vidcaps so they are bright and sharp! So, if you use my vidcaps, please give me credit! Thanks! I'm always adding more vidcaps, so keep checking back! 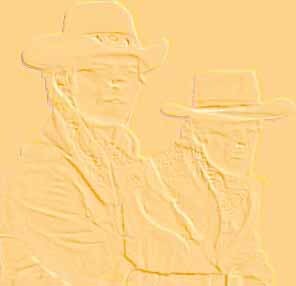 I hope you enjoy your stay here, and please visit my main website for more photos and graphic design work - Alias Smith and Jones Page! Since this is just a fan site to share my love of the show, no copyright damage is intended. The McCreedy Bust: Going Going Gone!